WUHAN HG LASER ENGINEERING Co.,Ltd will participate in ‘Electronics Manufacturing Korea 2019 (henceforth referred to as EMK 2019)’ which will be held from this coming May 15th (Wed), to the 17th (Fri). Wuhan Huagong Laser Engineering Co.,Ltd is one of the largest laser equipment manufacturers in China. HGLASER is the main subsidiary company of Huagongtech Co., Ltd.
HGLASER is a national key high-tech enterprise, possessing technology centers and provincial key laboratories. 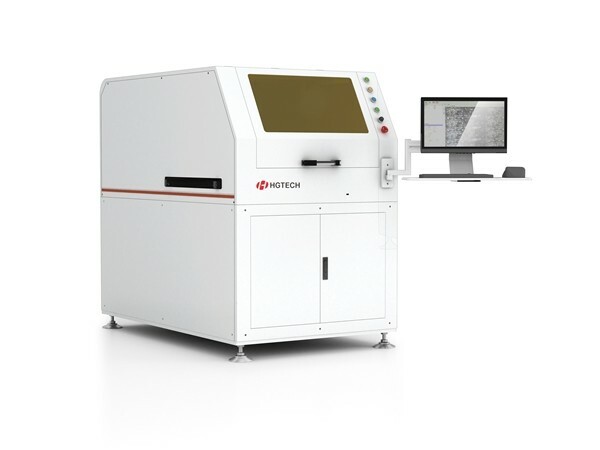 Relying on the National Engineering Research Center for Laser Processing, National Key Laboratory for Laser Technology and Exhibition Center for Laser Technology Processing, HGLASER undertakes national key projects and scientific research projects. Wuhan Huagong Laser Engineering Co.,Ltd possesses HGLASER and FARLEY?LASERLAB two famous brands. HGLASER has always been committed to providing broad and comprehensive laser manufacturing solutions in industrial manufacturing field, researching, manufacturing and selling various laser processing and plasma machining equipments, providing tube laser cutting processing and oil pipeline trade services. The main products of HGLASER cover the full power series of laser cutting systems, laser welding systems, laser marking series, laser texturing equipments, laser heat treatment systems, laser drilling machines, laser devices, all kinds of support devices, laser processing and plasma machining equipments, which are used widely in metallurgy, non-ferrous metals, automobiles, parts, aviation, military, precision instruments, machine manufacturing, hardware, integrated circuits, semiconductor manufacturing, solar, education, communication and measurement, packaging, leathers, plastics, rubbers, jewelries, crafts, medical equipments, etc. Meanwhile, Korea Electronics Manufacturing Korea has grown into an internationally recognized exhibition, receiving steady interest from domestic and foreign buyers as Korea’s largest electronics manufacturing exhibition. Since 2017, it has been Co-hosted with ‘Autotronics Manufacturing Korea (AMK)', and provides various seminars and events for exhibitors and visitors.